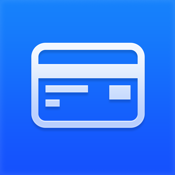 Card Mate Pro by Qiwen Zhang is a lifestyle app that is meant for those people that have way too many cards in their wallet and who want to lighten the load. Instead of carrying all your cards around with you, this app works as a secure and easy to use card manager. The app was updated on June 13, 2013 and is available in English, Japanese, and Simplified Chinese. The user experience with this app is quick, simple, and handy. All you need to do is scan in your cards to store the data. A variety of card types are supported and before you know it you'll be able to close your wallet again. Use this app as a secure card manager since it allows you to automatically scan and then save all your card images. As well you can store additional information in the app. Scan cards such as ID cards, bank cards, credit cards, and more. In order to ensure security, the scanned images uses encrypted industrial-strength algorithm and then is saved on the local storage of your device. None of your information is sent or uploaded to a server it stays on your device. Additional features include management of your information by letting you create categories and classify each card. This means you can quickly find what you're looking for. These categories can be edited or deleted, and you can reorder a category using the drag function. If you'd like to set a password in order to access your information you can do this as well. The app offers password PIN pad and Dot-lock. The user interface was created to be clean and concise. You can swipe to hide/show menus, copy to paste board, hide/show card information, and even preview your card images. Version 1.4 featured a number of updates including more features, custom sorting options, the ability to add card number fields, the dot pattern lock feature, and the ability to use card categories for organization and management. The current version of the app has 14 customer ratings with an average rating of four out of five stars. The new version seems to have made users very happy thanks to the additional features and functions. Like so many other people I find my wallet is constantly full of cards that make it cumbersome to carry around. I liked the usefulness this app offered and the fact that this information was never stored or sent to a server or any other outside source. The fact that I could protect my information with a password lock gave me that extra peace of mind. For: iPhone 3GS, iPhone 4, iPhone 4S, iPhone 5, iPod touch (3rd generation), iPod touch (4th generation), iPod touch (5th generation), and iPad with iOS 5.1 or later. Card Mate Pro is optimized for iPhone 5.